The personality-packed Parade theme lends itself well to a unique dash of customization, and we’ve found a few shops with some spot-on design sensibilities. Parade’s product list lets each item have a moment in the spotlight, and its unconventional cursor keeps things fun. Diving into the shops that have made Parade their own, we’re loving what we’ve seen so far. Take the lead from these stand-out stores when adding polish and personality to your own shop. The design studio behind this shop loves color, and they’ve embraced the opportunity for a different Product Page Background. The palette they’ve selected isn’t too different from our pre-sets, but they’ve switched things around and pumped up the intensity. 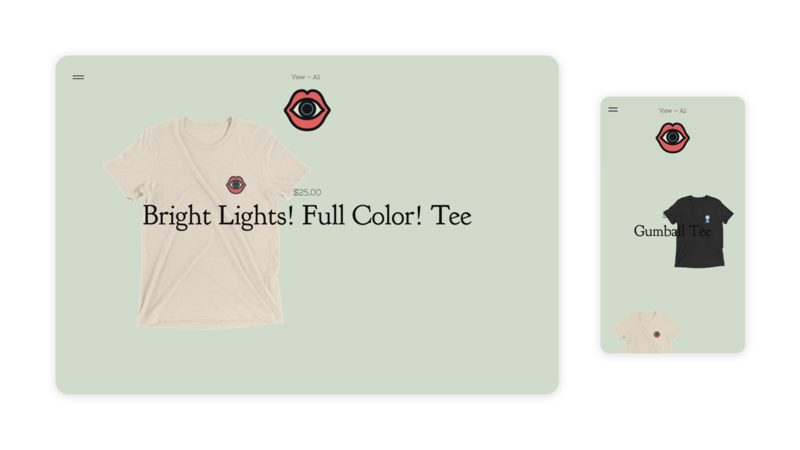 Product images have no background and are set to Fill, so the page feels full and fluid. The store feels confident, graphic, and fun: just like Script & Seal’s products. Take one look at illustrator Kris Atomic’s shop, and you know right away that she knows exactly what fits with her style. The pink Background color perfectly complements her strong and feminine figures, so of course it carries over to each Product Page. The product images are set to Fit, a thoughtful choice for smaller paintings featuring delicate linework. CUSTOMGLORY, an up-and-coming clothing brand, reminds us that sometimes simplicity wins. Their products are straightforward and easy to wear, and particularly well served by the clean white and black color palette of their shop. They’re using two fonts, Nixie One and Lekton, which complement each other well. 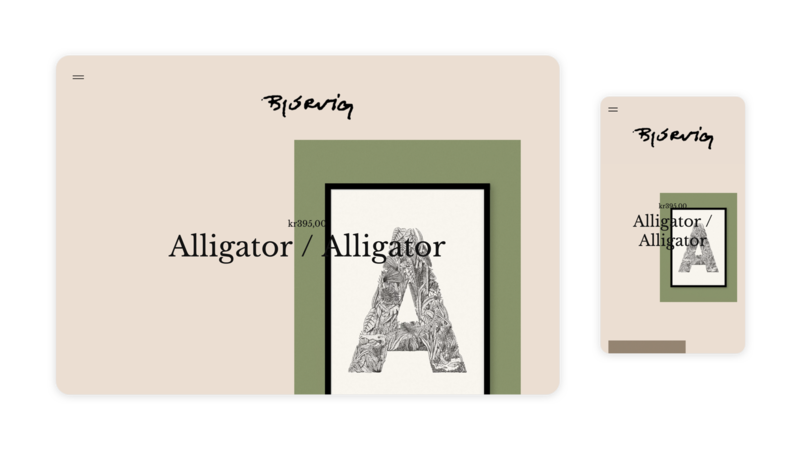 Illustrator Phillip Bjorvig created an entire Animal Alphabet made of ink drawings, and the Fill product image option really shows off the meticulous detail. He’s using the Parade theme with few customizations, and it looks great from the start. What can we say, sometimes a theme gets it right on the first try. 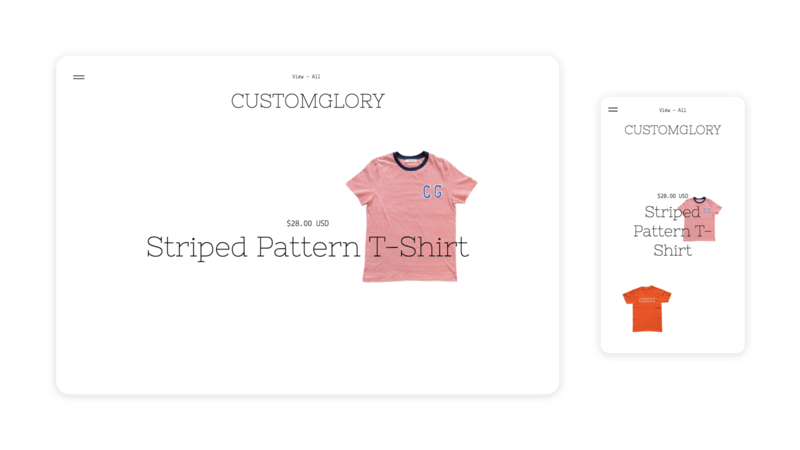 You can check out all of the free options for your store layout on our themes page. Each theme has its own test store so that you can click around, view on various devices, and get a feel for its functionality. Once you’re ready to give your shop a fresh look, Parade will be waiting for you in your admin.